New research identifying a 'brake' which limits spontaneous pain could lead to the development of new pain relief treatments. Spontaneous pain is ongoing and can occur constantly (slow burning pain) or intermittently (sharp shooting pain), with no obvious cause. Although they can be very debilitating, the mechanisms behind such conditions can be poorly understood and they are therefore difficult to treat. Continuous activity in small sensory nerve fibers, known as C-fiber nociceptors (pain neurons), has been shown to cause spontaneous burning pain, with greater activity resulting in greater pain. 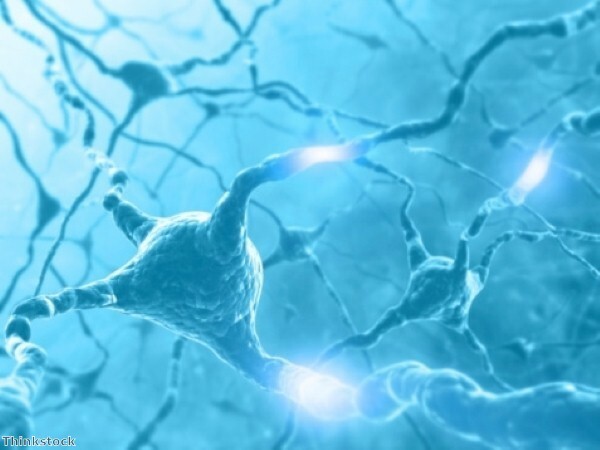 Scientists at the University of Bristol discovered that the presence of a particular ion channel, TREK2, in the membranes of these neurons provides a natural innate protection against this pain. Ion channels form pores through the neuronal membrane. Leak potassium channels, which are open most of the time, allow positive potassium ions (K+) to leak out of the cell, which is the main cause of negative membrane potentials in all neurons. TREK2 is a leak potassium channel and C-nociceptors that express it have much more negative membrane potentials. Removal of TREK2 from the proximity of the cell membrane resulted in those neurons becoming less negative. This also occurred when the neuron was prevented from synthesising the TREK2. Lowering the levels of synthesis of TREK2 in these C-fiber neurons was found to increase spontaneous pain associated with skin inflammation. The team concluded that TREK2 keeps membrane potentials more negative in these C-fiber nociceptors, stabilising their membrane potential and reducing firing. This limited the the amount of spontaneous burning pain. Professor Sally Lawson from the School of Physiology and Pharmacology at Bristol University said: "We demonstrated that TREK2 in C-fiber nociceptors is important for stabilizing their membrane potential and decreasing the likelihood of firing. It became apparent that TREK2 was thus likely to act as a natural innate protection against pain. Our data supported this, indicating that in chronic pain states, TREK2 is acting as a brake on the level of spontaneous pain." It is hoped that the findings will lead to new treatments for sufferers of ongoing spontaneous burning pain by enhancing the actions of TREK2.